This weekend we check in with long standing California contenders Santa Monica RFC. Original members of the PRP, SMRC selected to miss last years Cal Cup as the Club re-grouped and prioritized internal re structuring. 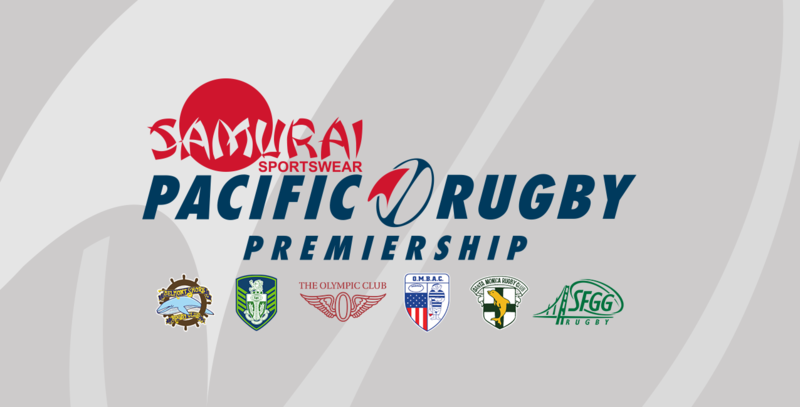 However, based on player feedback, SM return to the Samurai Sportswear PRP for the 2018 season and everybody is glad that the LA based team is back. Back to 2015, SMRC occupied the top spot of the PRP for a number of the opening weeks. A squad bolstered by foreign talent from the likes of Charlie Purdon, Harry Bennett, Mathieu Lesgourgues and USA Eagle regular Chris Bauman was playing fast attractive rugby and catching many of the other teams by surprise. Very nearly beating SFGG in the second week, before a last minute SFGG try resulted in a un-just draw for both sides. Injuries and player availability began to slow the team down, however those opening weeks demonstrated what a full flight SM team can achieve. Like many of the teams in the 2018 PRP, SM will have a VERY impressive coaching staff. Riaz Fredericks is now The Dolphins head coach and he boasts an impressive rugby resume. Coach Fredericks began his rugby career in his hometown of Perth, Western Australia, eventually moving to Sydney to play for Eastern Suburbs, one of Sydney’s elite programs. Eventually, his career took him to Hong Kong where he represented Hong Kong in both 15’s and 7’s, Riaz then made his way to Ireland playing for Ulster and eventually England for Bedford. In 2005 he arrived in Santa Monica, leading SM to its first of two consecutive National 15s Championships, where he was tournament MVP in 2005. Assisting Coach Fredericks will be Scott Murray. Coach Murray is a legendary Scottish International, capped 87 times for Scotland and also became a British & Irish Lion. Coach Frdericks makes note of The Dolphins opening pre-season weeks. ‘We have been in pre-season training for 6-weeks and had a scrimmage with the So Cal Griffins two weeks ago and our first inaugural SMRC Old Boys vs Young Bloods scrimmage last week. Our old boy game was a huge success where our old boys had a great time putting on the boots and loving the event with our players, it was a great way for us to end the year leading into Christmas and have our players feel the support of our SMRC community leading into the new season’. SM have followed the more traditional structure to pre-season with an initial focus on fitness and conditioning. With strong numbers at training, this has allowed them to get a huge amount of the squad up to fitness requirements. It can often be detrimental to teams when players arrive late to pre-season and do not have the conditioning required to keep up with the majority of the squad. SM lost some key players in Pago Haini to the MLR and former captain Phil Lydeard to a career opportunity in Seattle. However they have kept a strong core of players from previous seasons. As we enter the Christmas break it will be exciting to see how The Dolphins transition in to the final build up block before the seasons starts. With such an experienced coaching staff, the SM players are certainly getting the best guidance and education in advance of the February season start. Hopefully The Dolphins have regrouped from their 2017 break and can reignite some of that 2015 form.